Wendy Carlton has spent her whole lifetime painting. Initially, she studied textile design in Nottingham achieving a 1st class (hons) degree. She was amongst 30 students nationwide chosen to take part in a Budding Designers exhibition at the Design Centre in London. As a result of this, she was offered a job with a leading design studio designing fabrics, which went on to be sold worldwide. 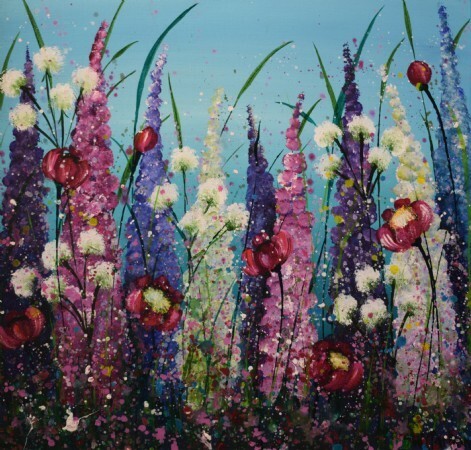 In 2001 Wendy Carlton decided to change direction and created a small range of large, bold, vibrant paintings. Flowers were her inspiration as her love of nature and bold use of colour is something which has followed Wendy throughout her whole career. 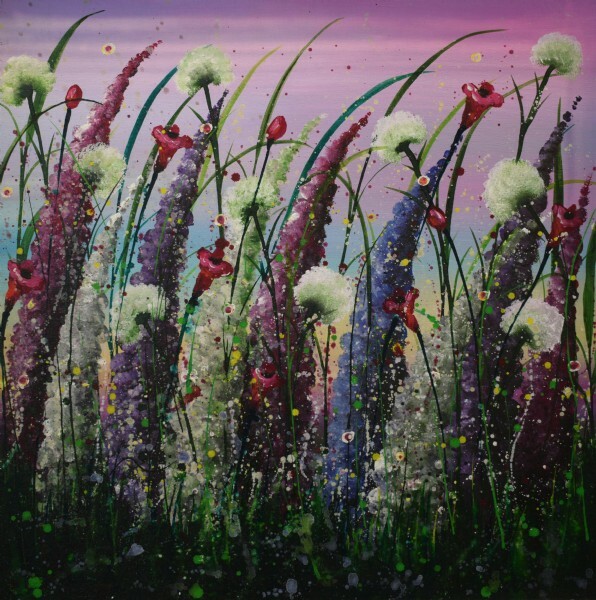 Her collection quickly grew and she was displaying in local exhibitions, Interior Design shops and Galleries, with one of her paintings chosen to be used as the Logo for Sheffield Botanical Gardens where she appears annually at their Art in the Gardens event, exhibiting in the main pavilion. 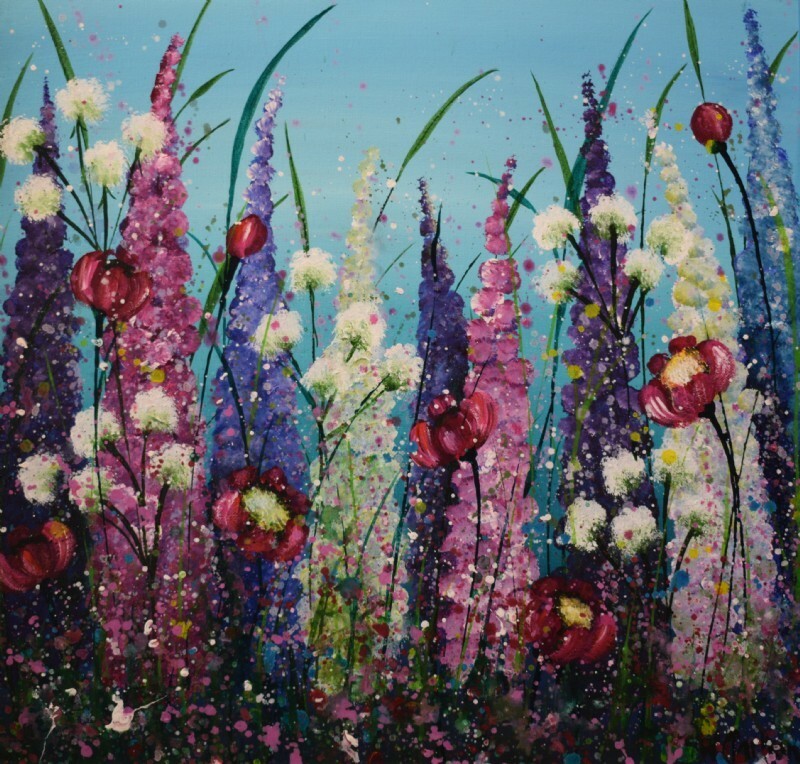 Her style has gradually changed over the years, initially starting with the large, bold flower heads on fairly plain backgrounds, to her latest collection of Meadows and Wild Flowers with hundreds of flowers packed closely together in an explosion of colour.